You’ve got mail! – Nice dress! Thanks, I made it!! Whoo hoo! Checked the mail this morning! Look what’s arrived! This one is a beige/brown/red/turquoise 100% rayon “Batik” I bought on the mainland, blogged about here. This next one is a light blue/peach/gold (trust me, it is light blue) 100% cotton “Fashion Designer” I bought just this last Saturday when I was “just popping in to buy some seam binding”. 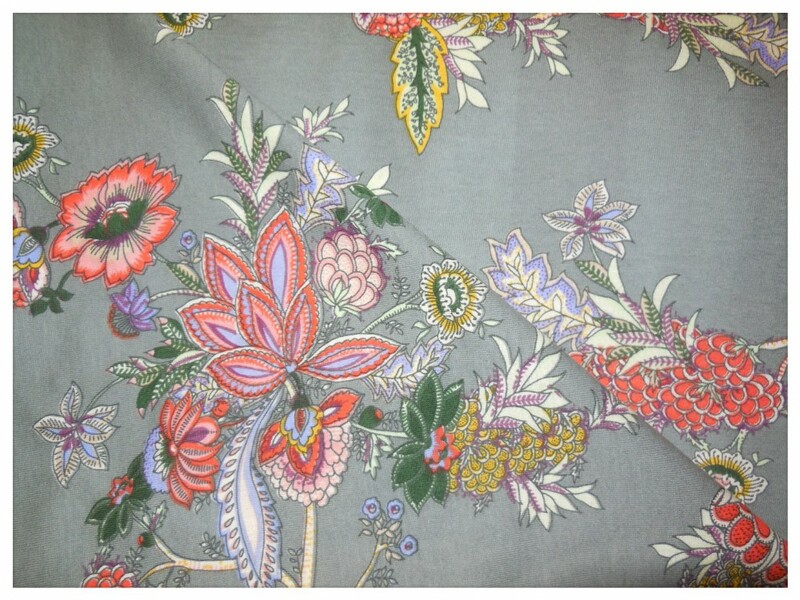 Sewaholic suggests a “Lightweight woven … cotton voile or lawn, rayon challis, …”. 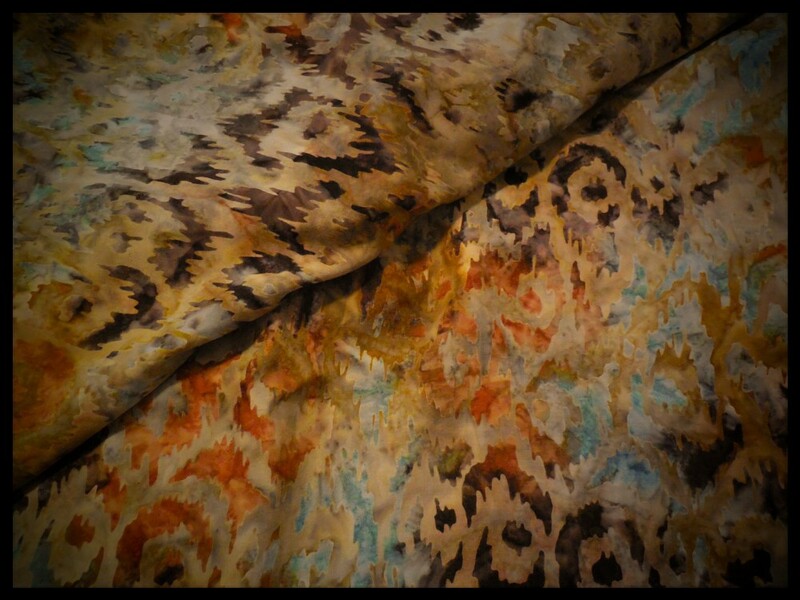 Both of these fabrics fit the bill and would drape well! I might be able to find something else yet, I still have a couple of weeks left … but so far, what do you think? Which is better for this dress, the beige rayon or the light blue cotton? I like both of them so much, I can’t decide! Frocks in October? Hmm… well I might sew them up, but I don’t think I will be doing much wearing of them at the bus stop at 6:30 am in the October/November rains – I am such a wimp at 6:30 am! 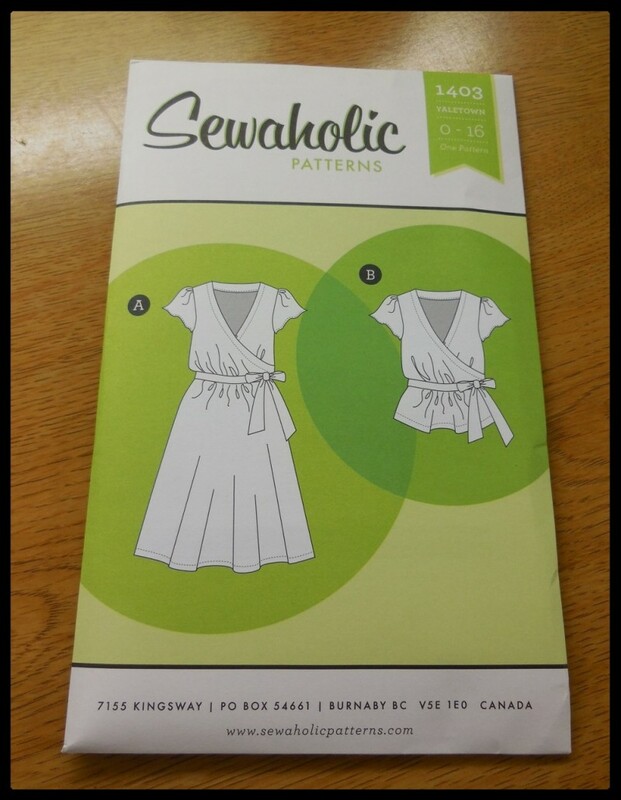 By the way, I would love to hear from you, especially if you have already sewed up a Sewaholic Yaletown dress! Let me know! I would love to come take a peek at your’s! I vote for the first one the rayon batik! Think it will be a better match to your pattern! As for when you will be wearing it! Doesn’t matter I ended up sewing stuff for summer in winter and no chance on trying them on unless it’s really hot! Looking forward to seeing your dress! I like paper. I find myself buying actual magazines. I’m tired of looking at a computer screen all day and then looking at gadgets. It’s neat getting something fun in the mail besides bills. Your new fabric is gorgeous. I remember the clothes you sewed 25 years ago and then and now, you pick gorgeous fabrics. Looking forward to seeing the completed project. Happy sewing. Yes! That explains it… looking at computers all day makes me THIS excited to see paper! I voted for the light blue, but you need a button for “make up both”! You are a genius! I never thought of that one! Why can’t I “have it all”!